Sakapfet is equivalent to Sakpase, I'm sure you all know that one. Poze means I'm chilling. This look was definitely one of my favorite looks to style. Any excuse to wear blue which is, of course, my favorite color. 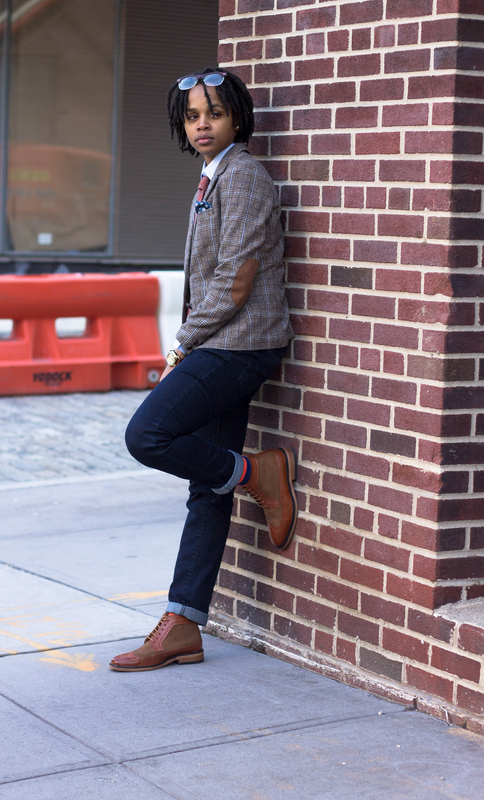 I partnered up with Weekend Casual, a men's accessories line, to bring you this #ootd. What's unique about WC is their dedication to support causes to lend a hand to those in need. You, too, can lend a hand when you purchase this sick orange tie or any product for that matter. This #ootd is about helping others. I'm sure you've heard this saying "Two is better than one". Well, its true. It's so much easier to accomplish things when we were helping one another. The rate is success is so much higher when more than one person is involved, so if you have the ability to help someone, why wouldn't you? I'm wearing all kinds of different shades of blue. I went with dark denim blue jeans with a very light solid blue shirt. 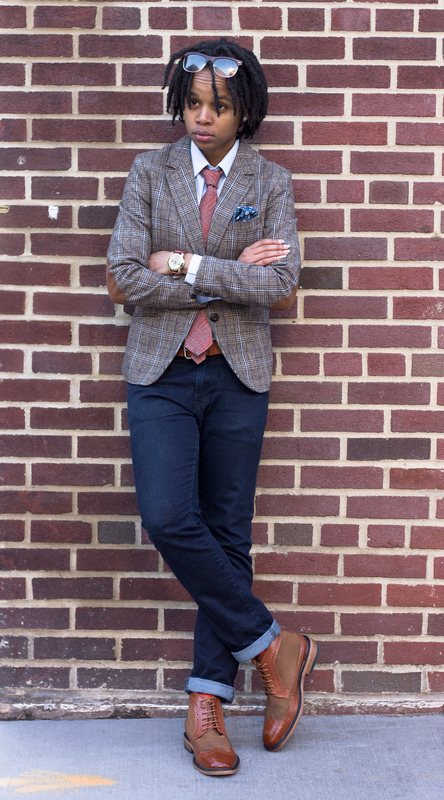 This checkered blazer is probably my favorite of all times, the colors perfectly blend together. The Weekend Casual accessories brighten up look the while adding a sophisticated flair to the attire. You can tell my feet were pretty happy in the fun colorful socks and those killer boots. This story is that of how I love helping others and setting them up for success. I teamed up with WC, who will you team up with?